©2009 Suzanne Collins (P)2009 Scholastic, Inc.
Would you try another book from Suzanne Collins and/or Carolyn McCormick? I have read Catching Fire (and of course all the others) and after listening to The Help was really excited to hear Catching Fire. But from the outset it was just all wrong. The reader sounds like she is forty rather than a Katniss. It is grating. I listened for awhile but am not going to be able to finish it - I was really surprised that with content like this they didn't choose someone younger and more in touch with the content. I'm sure Carolyn would be great with other content - but not this. Katniss and Peeta return triumphantly to District 12. After 6 months, they embark on a tour around the other districts as dissent and tensions rise. An outraged President Snow concocts a special treat for the 75th Hunger Games. This book is slow to start with the "couple" touring on the train and adjusting to living in their victors' houses in a separate village while the townspeople continue to exist in squalor. The love triangle grows more complicated with Gale now back in the picture. Mid-way through, the story gains speed with an interesting twist and never stops. Couldn't download the third quickly enough. My only complaint is how old the narrator sounds. I grew accustomed to it in the first book and it doesn't detract too much from the fantastic story. I loved this book and I will talk about content, but first I must give praise to the audio itself. 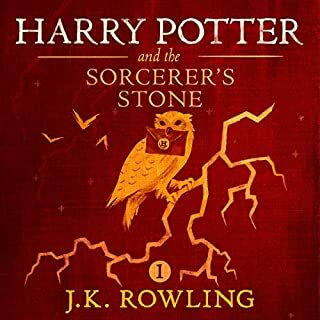 I often read the books before I listen to them, so I don't expect to be so spellbound by the audio. However, with this book, the narrator (Carolyn McCormick) is great and helps to engage me even more than when I read it myself. I had listened to the first book "The Hunger Games" before reading the second, it had the same narrator, and I could hear here voice in my head as I read. I made a point of listening to both back to back and it was pure pleasure. In "Catching Fire", I found myself laughing and crying with the book. The narrator is consistent and spot on with her inflections and voicing. Now for content, I had been anticipating this second book in the trilogy since the moment I finished the first. It continues just a short time after the first and covers all that has happened in between and then continues on with the story Suzanne Collins so expertly weaved. The book is perfectly title as it descibes exactly how the temperment of the Districts has developed. I don't want to spoil it for people with too much. The love triangle between the Katniss, Peeta and Gale is further fleshed out, but, of course, is not resolved. The author does a wonderful job of this, and I, myself, can't even decide who is the one to choose, I can't take sides. I don't know how helpful this review will be, but I cannot praise this book enough. It left me more than eager for the final book and I am sure that I will need to read it again in the mean time. Who would you have cast as narrator instead of Carolyn McCormick? Nearly anyone. I don't think she's necessarily a bad narrator, but in this case she didn't have any sense of the characters she was playing. Was Catching Fire worth the listening time? 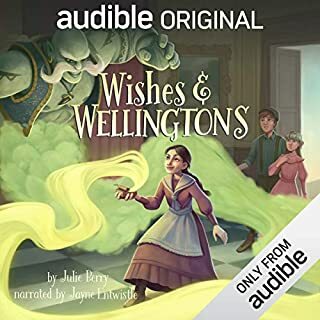 Although I thoroughly enjoyed the story, and I have previously read the book, the narration by Carolyn McCormick made this listen almost unbearable. She has turned Katniss, a character with profound personal strength, who had to provide for her family at the young age of 13 or 14, into a whiny, simpering basket case of a girl you want to give a good firm slap. Instead of introspective pondering about the significance of events unfolding before her, this Katniss seems hopelessly lost in self doubt, self pity, and self loathing. I was taken aback at how the narration could so change a character. I don't think Carolyn McCormick really has any grasp on the characters she was reading, because I feel like she read an entirely different book than I did. I can't really add much to the reviews of the story that have been previously written here. It is suspenseful, interesting, and made two days of a road trip much more interesting. I look forward to the third book, except I won't be listening to it from Audible. The narration here, by Carolyn McCormick, was simply dreadful. Katniss is alternately a world-weary 50-year-old, and a whiny 10-year-old - and not as a point of character fluctuation but of wildly shifting narration. At points in the story where Katniss might be serious, she is simpering; sarcasm comes across as self-doubt. It's amazing what a voice can or cannot do for a character. Other characters also did not fare well; McCormick seemed to have not read the "stage directions," so a solemn remark sometimes came out as a shout. By the end, I was gritting my teeth in frustration and sometimes outright laughing at the terrible, erratic vocalization. The story is quite interesting, though, and I will look for it in another form elsewhere. One thing I must say between books 1 and books 2 of the Hunger Games books is how seamless they seem to flow into each other. As most would agree, the first Hunger Games was excellently put together so a continuation was very much welcomed. The narrator grew on me, she did a very good job voicing the different characters that are introduced (which were quite a few). She did very well to show the tortured nature of the characters in this book. Catching Fire introduces a lot of very interesting new characters I must say. The tyranny of the Capital and of Snow becomes even more evident in the title. The story progresses very quickly I find and certain aspects of the book seems a bit rushed if you ask me, however much was not lost in this title and it was very much enjoyed. I really like this series and there was no way I would not read all three books but in no way is this book equal to the first, with The Hunger Games (book one) being near perfect it's makes it a hard act to follow. Catching Fire isn't as good as The Hunger Games but it's still a great read/listen. There's no doubt that she made a good go at writing a sequel that stands up to the first. Personally, I think it pales in comparison to the first, BUT it does make me think that there is the potential for a very good third book. Both my sweetheart and I were happy that it didn't get hopelessly bogged down in the Gale/Peeta drama. Simply avoiding that pitfall is a mark of success as far as I'm concerned. I think the plot was a bit choppy, but I also think the flaws are easily forgiven. Certainly, neither of us were bored. For the sequel to a young adult novel that could have completely degenerated into a teen love triangle, the author deserves credit for keeping her focus. First and foremost, if you have not read/downloaded the Hunger Games first, you will find yourself lost by this book. Catching Fire is great sequel to the first story, propelling the reader into to all the places where I'd hoped after the first one ended. The stakes are higher and the scope is as well, focusing more on the entire territory of Pannem and less on the District or Arena. That said -- it definitely was the "middle story of a trilogy"... coming to a conclusions which really was just meant to set up the third book. But hey -- it was certainly as addictive as the first one. Last word of warning, and one which may other reviewers seem to miss prior to downloading -- THIS IS A YOUNG ADULT NOVEL! The dialogue is simple and the plot is concrete (there's nothing subtle about it). That's the audience it was written for. Not sure why there are so many people reviewing it as if it weren't intended to be that way. I loved Hunger Games; I urge everyone I know to read it, gave it to someone for Christmas, and turned my boyfriend onto it, so of course I couldn't wait for the second book and I wasn't let down. This book will be a bit slower going in the beginning because the last one focused mostly on the game itself and quickly became a frenzied page-turner. But now that Katniss is a champion we see more of her day-today life while getting an idea of what's going on with the government and the people who suffer it. But this doesnt mean I was ever bored, it's just differently paced. The best part about this "downtime" is that you learn more about the characters. I especially enjoyed hearing about Haymitch, so much so that I think he's my favorite character now. Be patient though-without giving away any spoilers I'll just say the second half really gets exciting, and the ending will blow your mind. I didn't see it coming, and I am literally counting the days until the next book comes out. 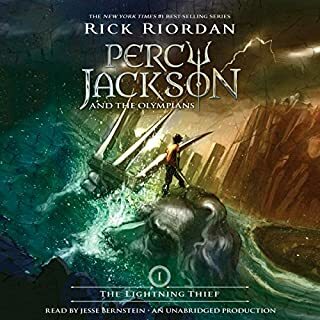 I'm really enjoying these audio-books. They are wonderfully read, and very well written. I think Suzanne Collins did a great job with the characters, especially Katniss. And just when I think I know how the story is going to go, she goes in a completely different direction. First of all, let me just say that I love the narrator Carolyn McCormick. She's doing a great job and I love her voice, tone and rhythm for the Hunger games series! This first part of the second book was not as action packed as the first Hunger Games, but it was not in the least uninteresting. I wanted to keep listening until it was done! I am also very excited about the second part of the recording which promises all the action to come. I think this book was really enjoyable - would recommend it. The first book is so gripping that I can't imagine not reading this second installment, but, although decent, it wasn't anywhere near as good as the first book. Katniss lacks the cleverness that got her through the first games and the plot contains too much same old same old to make it special. 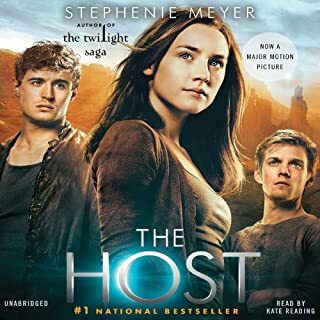 This was as good as the Hunger Games,but i never exspected the ending like it was cannot wait to listen to the final book. 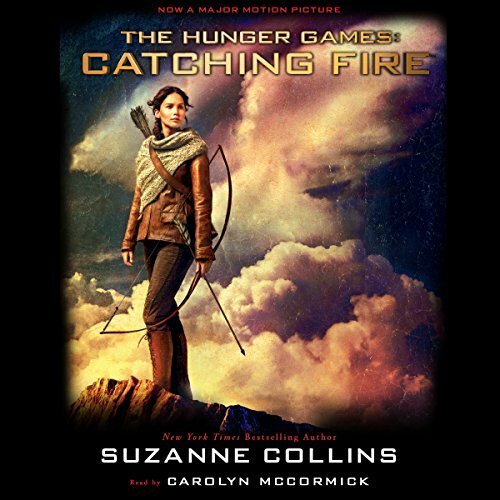 Would you try another book written by Suzanne Collins or narrated by Carolyn McCormick? I've listened to the first book and was enthralled. It was a little too recap heavy for me. It was also repetitive and this lost some of my interest. It seemed like a bridge to the final book. I also lost some of my support for Katniss she seems to be very self absorbed in this book. Did Carolyn McCormick do a good job differentiating each of the characters? How? I was not fond of the Katniss' voice, it sounded a little weak and whiny, which I'm sure was not the intention for the heroine of the story. Was Catching Fire: Hunger Games Trilogy, Book 2 worth the listening time? Yes it was worth the listening time. I afraid I'm not going to listen to the third book in the trilogy but I'm sure it will tie up lots of lose ends. I just fear it will be another chance to revisit the old plot and stories. Would you listen to Catching Fire: Hunger Games Trilogy, Book 2 again? Why? I would surely listen to Catching Fire again. the story is fast-paced, the characters are well developed, the language is beautiful and the symbolism in the story is impossible not to get inspired by. The mere thought of drawing a parallell between the symbolism in this book and the rampant development of entertainment in the modern world is gripping. Have you listened to any of Carolyn McCormick’s other performances? How does this one compare? 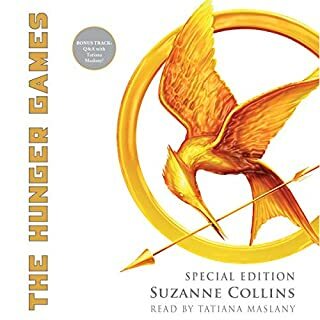 So, I already own the paperback and have recently purchased The Hunger Games on audiobook, so the next step would be to acquire this one, the second in the trilogy. A great Narrator makes this a much more enjoyable listen than some I've come across. We have listened to it a few times now and think it will become a great addition to our audio library. This books needs no introduction. You can't not read it if you've read the Hunger Games. My comment is specific to the audible version: Carolyn McCormick does a fine job with the reading. Her voice adapts well to all the different characters so it's always pretty clear who's talking. 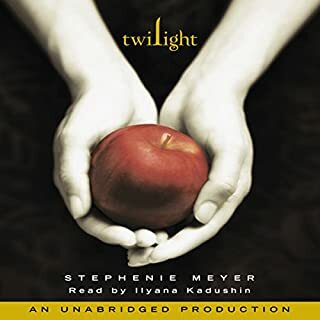 The slightly husky tone to her voice adds an edge to the prose, and definitely makes you feel that you're listening to more than a kids' book. A pleasure to listen to. What did you like most about Catching Fire: Hunger Games Trilogy, Book 2? loved the story line, absolutely captivating. What was one of the most memorable moments of Catching Fire: Hunger Games Trilogy, Book 2? Fantastic build up to a huge twist at the end! Which character – as performed by Carolyn McCormick – was your favourite? A fantastic and complex story matched with a brilliant performance. Packed with action and subterfuge, complex xharacters and motivation, and set in a facinating and foreign world that sometimes hits uncomfortably close to home. Excellent. I can't wait to read the third book. compelling, surprising, romance, an emotional ride. You eventually get used to the poor skill of the narrator thanks to the skill of the author. Carolyn McCormack keeps most of the characters distinguished fairly well but I think she has poor judgement with inflections. I kind of wish the author would take a director-type role in audio books sometimes. Fantastic story of a 17 year old girl with a 40ish narrator. Who made that decision? It is so off putting. I found it increasingly frustrating especially when she putt on a sweet, candyish voice on for Katniss who is a tough, no nonsense, strong young woman. What a disappointment!! Catching Fire was a wonderful story and Carolyn McCormick is an amazing Narrator. The different voices for the characters brings it to life. The intensity and compassion in the voice leads you through book with a range of emotions and deep into the book. An enthralling story, read perfectly! Every chapter was a cliff hanger! It's un-put-downable (un-pause-able?) The narrator's expression and performance is wonderful, capturing Katniss's naiveté, understanding and determination in turns, with perfect timing. Would you listen to Catching Fire again? Why? Yes, I was on the edge of my seat the whole way through. The characters are engaging, you get emotionally involved in the story. You can't stop thinking about what has happened and what could happen. When Peeta discovers a pearl in the oyster and gives it to Katniss. Yes her voices she uses for each character is consistent with the other book in which those characters appear. Enjoyable to listen to.